SNV is an international not-for-profit development organisation, working in 38 countries in Africa, Asia, and Latin America. 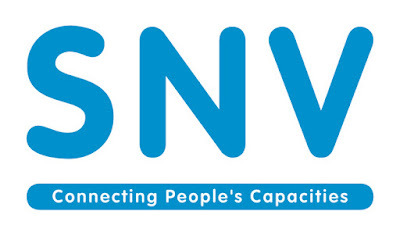 SNV specializes in supporting the resourcefulness of development actors by developing local capacities, improving performance and services, strengthening governance systems, helping to create access for excluded groups and by making markets work for the poor. Our global team of advisors use their specialist sector and change expertise in Agriculture, Renewable Energy and WASH to facilitate sustainable change in the livelihoods of millions of people living in poverty. SNV recognizes the enormous economic and social potential of improving sanitation and hygiene in Indonesia. Benefits include improved health, reduced risk of disease and increased productivity and income for millions of families. Despite Indonesia’s rapid economic progress, 100 million people still don’t have access to improved sanitation facilities. Acknowledging that access to improved sanitation is a basic human right, the government of Indonesia has developed the STBM (Sanitasi Total Berbasis Masyarakat) programme to improve sanitation and hygiene coverage in rural areas in order to achieve 100% coverage by 2019. STBM promotes community-wide achievement of five key pillars in sanitation and hygiene behaviour: to stop open defecation; to wash hands with soap; to safely handle drinking water and food; and to safely manage solid and liquid domestic waste. SNV’s strategy is to assist and work with the Government to implement STBM in targeted areas. The overall goal of the project ‘Supporting STBM in Lampung Province’ is to improve the health and quality of life for 220,000 people living in the districts of Lampung Selatan, Tanggamus, and Pringsewu, all in the Province of Lampung. During its 3 years implementation, together with the local stakeholders, the project has achieved 1 ODF Sub district, issuance of local regulations to support STBM implementation, establishment of BUMDes, Sanitation Entrepreneurships, and other best practices and lesson learned to be shared. The field implementation of the sanitation programme will be ended by 2017 and to be continued by advocacy work to assist the local stakeholders in achieving the local and national target. To officially hand over the programme and share the best practices –not only to SNV’s project area but all the districts in Lampung– we are hosting the Horizontal Learning Event: Supporting STBM in Lampung Province. Main facilitator is needed to facilitate all the processes, to make sure all the expected deliverables are met, and to provide event report. Co-facilitators from SNV team and local stakeholders will assist during the process. The objective of facilitator recruitment is to have all the processes facilitated so that the expected deliverables/output are fully met and complete event report is in place. The learning event will take place in Bandar Lampung on 25-27 July 2017. Facilitator will facilitate on the 1st and 3rd days. SNV will cover service fee, transportation and accommodation, local transport and DSA according to SNV’s policy. Senior facilitator should be experienced professional with strong knowledge on WASH sector in Indonesia (national, district, and village level), More than 10 years experience in WASH sector is needed and experience in participatory facilitation and communication similar event held by other INGOs/donors is an added value. The consultants must be fluent in Bahasa Indonesia and able to write event summary in English. He/she will report to Rural Sanitation Programme Leader and work in close coordination with Rural Team. Quotation of daily service fee to irachmi@snvworld.org before 4th July 2017 with the subject “Facilitator SNV-Lampung”.